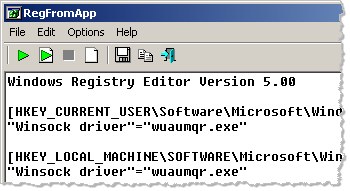 Nir Sofer makes a number of Windows utilities, which he distributes for free on the NirSoft website. This post takes a quick look at 3 of his tools—ProcessActivityView , RegFromApp and ProcessThreadsView—which can be handy when analyzing malware from a behavioral perspective. These programs can be a useful supplement to Microsoft’s Process Monitor and Process Explorer tools. Like with ProcessActivityView, you can point RegFromApp to an existing process or tell it to launch the specified executable and begin tracing it immediately. ProcessActivityView, RegFromApp and ProcessThreadsView are quick and easy to use to give you some visibility into registry and file system capabilities of malicious programs. However, they generally aren’t as comprehensive as Process Monitor, to some extent, Process Explorer. 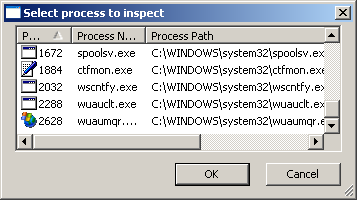 I consider them “second opinion” tools, and like having them as part of my malware analysis toolkit. Just so you know, I teach the malware analysis course at SANS Institute.